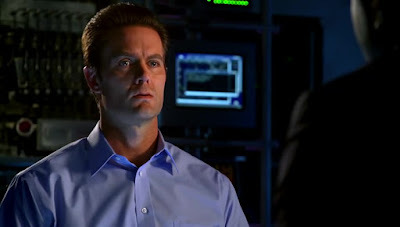 With Riley’s body having been discovered by the police, will Cameron be able to convince the Connors of her innocence. Meanwhile Jessie finds her mind wandering back to the past as the reasons for her distrust of John Connor begin to come to light. Away from John Connor, at Zeira Corporation, John Henry has decided to play a game with John Ellison. So the discovery of Riley’s death understandably upsets John. Cameron professes her innocence and John is unsure if he can believe her or not. Sarah seems sure that Cameron is guilty, given Cameron's history of lying to John. Jessie attempts to use the death to her advantage, trying to convince Derek to join her cause in turning John against the machine. Derek however seems suspicious of how Jessie is reacting to the death. So the death of Riley has reinvigorated a lot of storylines on the show. The ill feelings between Sarah and John have resurfaced via their dispute over Cameron. Jessie’s story has again gained momentum as she has found herself in the difficult position of attempting to frame someone for a crime she committed. Derek meanwhile finds himself being stuck between his new life with the Connors and his old life with Jessie. In terms of Jessie’s past with Derek we get another flashback to her past in the resistance. 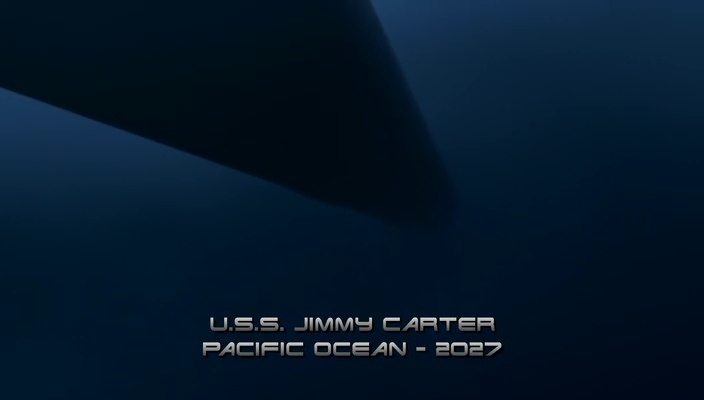 We see her life aboard the USS Jimmy Carter. We have previously had a description of her life on the sub and the reprogrammed T-888 who pilots it. Being the first part of a two parter we spend this flashback setting up why Jessie distrusts both John Connor and reprogrammed machines so much. We discover that the original mission of the submarine, to deliver supplies to Australia, was a cover story. The mission of the submarine is in fact to travel deep into machine territory to retrieve a package for John. The crew manage to find the package but they have to take it from a group of machines who were waiting to give it to them. The reveal that John has been working with machines in the future is interesting and goes a long way to establish why his command may have become so questioned in the future. Away from the Riley situation, John Henry is causing problems for James Ellison. After Catherine refuses to play hide and seek with her daughter, Savannah, Henry decides to play with her himself. He manages to lure her down to the basement and convinces her to play hide and seek with him. 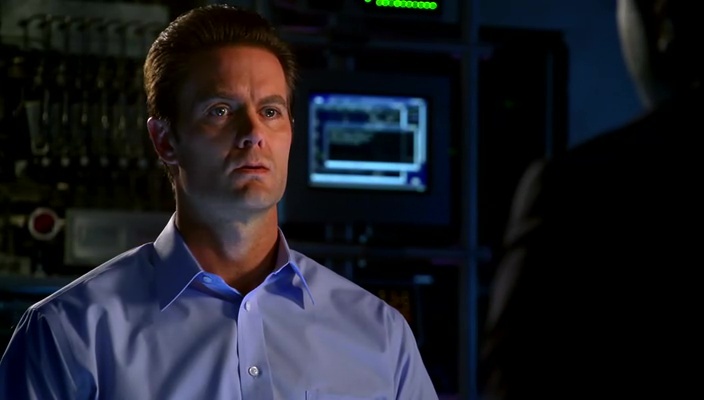 When Weaver and Ellison confront Henry, he says that they have to guess answers to his questions to receive clues for where Savannah is located. Having answered Henry’s question Savannah is located. Ellison angrily explains to John Henry that what he did was dangerous, that Savannah might have hurt herself and it would have been Henry’s fault (In a nice Frankenstein homage). Ellison makes a very clear point to explain to John Henry that choosing to lie could have endangered someone. This is clearly established to focus John Henry on the other thing he is covering up, the fact of Weaver being a machine. It will be interesting to see how long this particular secret stays between only Weaver and Henry. 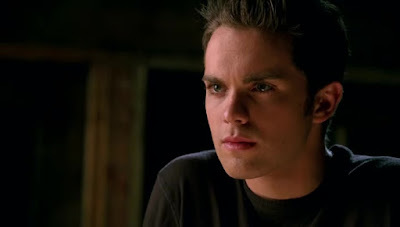 We leave the episode with John discovering skin under Riley’s fingernails in the morgue and with Derek, Jessie and Sarah attempting to work out what to do with the increasingly erratic Cameron. ‘Today is the Day’ has the problem of being the first episode in a two parter but it manages to build up the second part very nicely. it does this by building up the character tension and not focussing too strongly on the overall narrative. This two parter is focussed on the death of Riley and how it effects John and those around him. In seeing the fallout to this we get a lot of nice character moments. For example we get a moment where Cameron explains to Sarah how each of them are a threat to John, because he cares about them. This has forced John to be a recluse in the future; he has to be alone to be safe. ‘Today is the Day’ is hard to rate entirely because my opinion of it may change once I have seen the second part. As a standalone episode it is pretty strong however and successfully makes me want to see what will happen next in the story. We shall see if the second part manages to deliver on what the first part built up.